A thesis is the topic of the paper and the position you are taking. It needs to be narrow and debatable; i.e. makes a claim. For a solution argument, it should present your problem and the solution you are proposing. 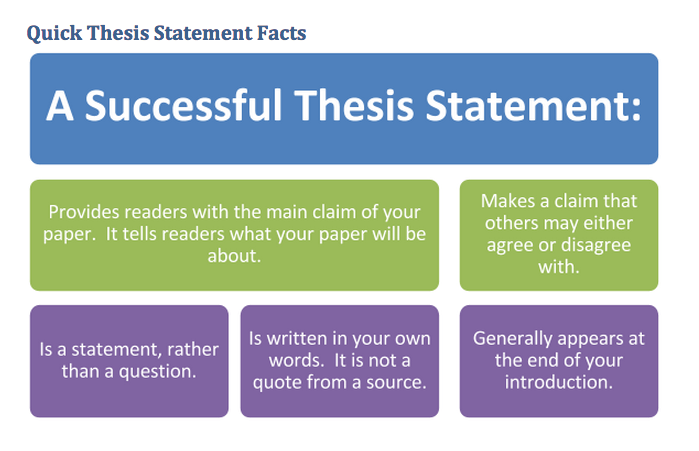 Work on writing a thesis statement for your essay. If you have one, did you meet the guidelines we talked about? Share the thesis statements and try to make them more specific.